Well have I got a tasty surprise for all of you! If there was ever a dish that I was forced to choose to eat everyday for the rest of my life, this would be the dish I would choose. I give you my version of low carb lasagna which I lollipopped without any of the guilt I usually have when eating normal lasagna. Now as some of you may have already perceived, I am quite a low maintenance cook. What I mean by that, is that I try to make things as easy as possible for myself. I won’t, for example, include high end ingredients in my food that came from super high end health food shops because lets be realistic here, it’s a) downright expensive to do that on a daily basis and b) I neither have the time or the energy to be slaving away in the kitchen following long winded recipes. So bearing that all in mind I can gladly inform you all that this recipe was made from cheap and tasty ingredients coming from my favourite grocery store: Aldi. Nothing in this dish is too complicated to make or too expensive to buy, I am just not that kind of cook. Also if I’m going to the effort of healthy eating, it has to be something that’s easily achieved in my books anyways! I have researched so many different variations of low carb lasagna, but there was none that I outright liked. Instead I decided to create my own recipe that suited my taste buds. Most lasagna’s do have a white sauce at the top of the dish, however most low carb versions feature this as a Greek yogurt or cottage cheese creation and neither appealed to me. As a result I decided to use a firm cupboard favourite in its place: Basil Pesto. I’m one of those that thinks pesto makes anything taste better! So what better ingredient to use as an alternative to the heavy in carbs white sauce then this green goodness! I used my own family recipe for the bolognese sauce but feel free to play around with your own sauce as I know very well, that everyone has their favourite sauce. That’s the beauty of this recipe, anyone can play around with it to suit their own particular taste. Please find below a step by step guide to the recipe with pictures also to demonstrate just how simple this recipe is. Also if you have any queries or comments please contact me below or on my social media pages. Olive Oil drizzled over them. 1) Heat three tablespoons of olive oil in a good sized pot. Then add the chopped onions and crushed garlic and saute on a medium heat stirring constantly until onions are soft. 2) Add the meat to the pot, ensuring that all the clumps of mince are broken up and tossed around in the oil/onion/garlic juice. 3) Add your seasoning, salt, pepper and herbs, I use a good bit of herbs as you will see in the picture but again this is to your own taste what you would prefer. 4) Once the meat has been tossed around in the herbs and seasoning, allow to brown completely on a low/medium heat, stirring every so often. 5) Add the cans of tomatoes to the mixture and turn the heat up to bring the mixture to a boil but reduce heat again once it has. 6) Once the tomatoes are stirred into the meat, more seasoning will be required such as salt, pepper, sugar and the cinnamon. Leave the mixture to simmer away on a low enough heat for about ten minutes. 7) Add the peppers and leave to simmer further for twenty minutes mixing every few minutes. It will be done when the peppers are soft. 8) For the grilled courgettes, slice 4 large courgettes at least 1 cm thick as seen in the picture below. Place on a baking tray and drizzle them with Olive oil, a lot of oil is needed but don’t panic at this because you will be wiping it all off again once courgettes are grilled. Once covered in oil, season with salt and pepper and place in a pre-heated oven @ 200*c (mine is a fan oven, I turn it up high but when they are in oven I turn it down to 180*c). 9) It is important to check your courgettes every few minutes and turn them over regularly as they can burn quite easily. By slicing them thick, it will ensure they do not break apart when cooked. 10) While waiting for courgettes and sauce to cook, slice your two balls of mozzarella. 11) Once courgettes are done, place them in a bowl that is covered in kitchen paper. The kitchen paper will soak up unnecessary oil and you can dab at the rest on top with more kitchen paper. 12) Once sauce is done, you can begin layering your lasagna in a oven dish. One layer meat, one layer courgette, another layer of meat, another layer of courgette. On the top layer you spread out the jar of green pesto. Over this place the slices of Mozzarella. Place in oven and cook for about 10 minutes @ 180*c or until cheese has fully melted. 13) Once ready leave to the side to cool and set for 10 minutes and then you’re good to go. **Top Tip**: Throughout the cooking of the meat sauce, you may find some of the fat off the meat will melt to the surface of the sauce. This can be easily skimmed off with a spoon. Imagine this, a sweltering hot day outside and you are stuck in a badly air conditioned fully packed room for a conference. This is exactly what happened to me recently at a conference I was attending. Stuck inside on a beautiful day is generally not anyone’s cup of tea and needless to say the experience is not one I would like to repeat anytime soon. However this horrible experience was saved by a rather large jug of iced lemon water that was placed on the table I was sitting at. My mind was blown. I’m an avid water drinker, I drink two litres plus every single day, but I am quite picky when it comes to water. I regularly turn my nose up to tap water, instead spending a small fortune on the bottled variety. Yet this glistening jug of iced lemon water saved the whole day for me. The condensation dripping down the side of the jug was enough to cause my mouth to water. However this was tap water in the jug, I couldn’t possibly like it. I was wrong. As I mentioned above my mind was blown. Regularly when I dine out at fancy restaurants I usually try to have at least one glass of the tap water given to me in jugs at the table, usually with one measly slice of lemon in it so I wasn’t aware of the true genius of its addition to tap water. Fast forward to last week where this lonely iced lemon jug of water sat on my table, filled with at least 10 slices of lemon. I just had to try it out. Mind blown! Since this fateful day, lemon water has become a staple part of my daily drinking routine. So long to the bottles of iced water, there’s a lemon in town! Each night I drink about a litre of water in pint glasses with half a lemon in the them. I always take the time to squeeze a few of the slices of lemon also to give the lemon water a super kick! Not only is lemon water extremely refreshing, but it has loads and I mean loads of added healthy benefits. Did you know lemon water can curb your food cravings? I certainly didn’t and usually I’m always nibbling on something in the evening but since beginning to drink lemon water, not a craving have I had! Honestly! Lemon water also is a magnificent detoxer full to the brim with antioxidants and various vitamins including the old reliable vitamin c, wonderful for healthy skin and general well being. Lemon water also is extremely good for your liver and its function to get rid of all those pesky toxins in our bodies. Have a sore throat? look no further! With lemon water you will be adding anti inflammatories to aid those irritating sore throats. I could go on to tell you its aided benefits for cancer fighting, toothaches and heartburn but I would assume you are all getting the idea that this stuff is amazing and I need not say anymore! Go ahead and give this juice of the Gods a try! It’s the perfect refreshing beverage to take a liking to coming up to this warm summer months. Also just a reminder I use half a lemon in a pint of water and top up the pint glass until I’ve had a litre or so of water, it might sound daunting but believe me you’ll be slurping this drink as fast as you’ll be pouring it! As always if you have any queries leave a comment below or contact me on my social media sites. Lately I have become obsessed with grilled vegetables, which is lucky since the low carb health kick I’m on calls for them on a daily basis. They are super easy to make, and super quick too! My boyfriend who used to be a veg hater, is wolfing them down so it really is a miracle! I oven grill these aubergines using olive oil, salt and pepper. That’s it, no more ingredients necessary. Just ensure they are thoroughly coated in oil, I usually coat the bottom of the tray in the oil and then place the aubergines on it before flipping them over to ensure that both sides are covered in oil. For those on an even more super health kick then me, I would advise a different type of oil, perhaps coconut oil or rapeseed oil depending on your own personal preference. Once oven grilled on a baking tray for 20 minutes, you should achieve a lovely golden brown colour to your aubergines. Once I take them out of the oven I place them on kitchen paper to soak off all the oil, because there really is nothing worse then biting into a grilled vegetable and getting a mouthful of oil! By dabbing them with kitchen paper, carefully so as not to burn yourself, you will be rewarded with deliciously flavoursome grilled aubergines! Anyway below I have included the full method and ingredients list to achieve this wonderful side dish for any low carb dinner or even as a snack, whichever you prefer. Any comments or queries do not hesitate to contact me by commenting below or on any of my social media pages. Cover bottom of baking tray with the oil, enough to cover all 12 slices of aubergine. Place aubergines onto oil, then gently flick over to coat the opposite sides of the slices. Place baking tray into oven once it is preheated. After ten minutes take out aubergines and flip them over gently to ensure cooking on both sides. After 20 minutes check aubergines again, if they are slightly golden in colour and soft to touch with a fork, then proceed to remove them from the oven. Place the grilled aubergines onto a good few pieces of kitchen paper and dab them to remove excess oil. Wow. Each time I read a Gillian Flynn novel I come away feeling shell shocked, purely from the dark, sinister workings of her story lines. Dark Places was up there for me in most messed up stories of all time. Who would ever know from looking at a picture of Gillian Flynn, a normal looking mother of two, that she would have such a morbid and sinister imagination. I found her utterly fascinating as a author, and she really encompasses the old saying ‘never judge a book by its cover’. Onto the story itself, the book begins by giving us a look into the dismal and depressing life of the main character of Libby Day. And as with all Flynn’s characters, this one has huge issues, namely that of being the sole survivor of her family’s massacre when she was only seven years old. A massacre that took the lives of her mother, and two sisters, each killed by an even more grisly death than the first. Despite all this, Libby managed to escape. The massacre was seemingly as a result of a satanic ritual, and the culprit behind it….none other then Libby’s older brother Ben, who has been imprisoned since this fateful day doing life for murder. It is slowly revealed also that Libby herself had aided prosecutors in putting Ben in jail as they apparently coached her into saying what they wanted her to say. Fast forward twenty five years and the main character Libby is now thirty one, living an absolute shamble of a life, living off the proceeds of a charitable donations that were set up in her name all those years ago. However now the money has run out and now Libby must learn to fend for herself. The reader is faced with the harsh reality of Libby’s life, she is not a likeable character at all, she lives alone with her cat, has a drinking problem and has an urge to steal things from others on a regular basis. She is a social pariah who doesn’t know how to act around people, and this coupled with her horrific past, causes her to become quite the outcast, not fitting in wherever she goes. Libby has lived off other people’s money for so long that she doesn’t even know how to go about getting a job and feels anger and jealousy towards other missing women cases where as she sees it ‘her’ money is now being directed towards. There are no qualms about it, Libby is an appaling human being. Faced with poverty she finds an unlikely savior in a young man named Lyle. Lyle is a member of a group of people who have an interest in macabre crimes such as Libby’s family’s massacre. The club itself is named ‘The Kill Club’ and its members have so much of an interest in Libby’s past, that they are willing to pay Libby money for memorabilia belonging to her dead family. Yes, these characters are deeply deeply disturbing. Libby seeing this club as her new lifeline, gladly begins to transact with the club passing over old notes given to her by her dead sisters (not morbid at all) to the club for a couple hundred dollars. This is all easy money to Libby of course who doesn’t seem to bat an eyelid in handing over these precious memories to complete strangers. However a certain branch of the club (a group of deluded women to be exact) are convinced Libby’s brother was innocent of the crimes he was convicted for and confront Libby on her role in incarcerating her brother. Faced with the harsh truth that she could have been used by prosecutors and her memory of the events from that fateful night might actually be completely untrue, Libby soon becomes deeply embroiled in solving her family’s grisly murders. If it wasn’t her brother that killed her family, then who was it? The book switches between characters and time frames quite effectively. Beginning with Libby in the present day but flashing back to the day of the murders in the points of view of her brother Ben, the suspected murderer, and also their mother and the events that led up to the shocking climax of events that night. Through each of the characters, the reader is left gripping their seat as they try to figure out ‘who did it’ and ‘why’. It is not predictable in any way at all, and each character is just as messed up as the first that the reader will often find themselves wishing they could throw the book at the wall in frustration with these horrible people. Yet you will not be able to put the book down. What really shocked me in this novel, is the portrayal of the women. We have Libby who is a mess of a woman, who is dependent on people’s charity and cannot form a healthy relationship/friendship with any one. Then we have other female characters who are prostitutes, liars, druggies, attention seekers, blackmailers and the list goes on and on. Never before have I read a book where women were such horrible creatures, but maybe that’s what makes this novel so refreshing. It is not after all the men you have to watch out for, but the women! There are so many twists and turns in this novel and so many ghastly events that make you feel as if you should feel guilty for reading anything this atrocious, and yet somehow you come out at the end of the reading experience, feeling exhausted yes, but also feeling like your eyes have been truly opened for the first time. Flynn is an excellent writer in this regard, she is not afraid of social norms, the killer is always someone you least expect, never the typical villain but someone who is the wallflower, the innocent turned evil. It is a truly amazing reading experience. It is not an easy read at all in terms of its graphic nature for example the gruesome animal killings and even the family murders described in such detail you feel out of breath by the end of the story. This book is definitely not for the fainthearted. That is for sure. You will experience a roller coaster of emotions including absolute distress at some parts of the novel. 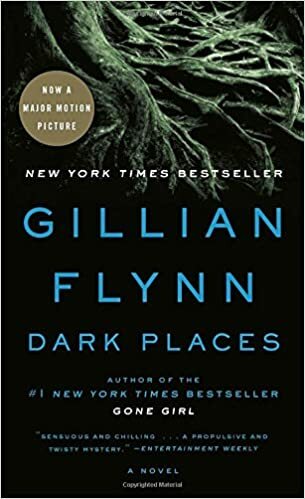 With Gone Girl I found I didn’t really care what happened to the characters at the end as they were so utterly detestable, and with ‘Dark Places’ they are equally as disturbing. However the story is so riveting and Flynn really knows how to reel you in that you will be hooked from beginning to end. It is also so hard nowadays for me personally to find a book where I can’t guess whats going to happen next so for that reason it really appealed to me. It is cold and calculated read, but by God am I awaiting Flynn’s next novel with excitement. My final verdict, it is well worth a read if you’re looking for something different and if you have a strong constitution for gorey details! It certainly won’t disappoint! As usual if you have any queries at all comment below or contact me on my social media pages. Recipe: Low sugar/carb berry smoothie. So yesterday I had a cheat day, it was impossible not to. First of all I attended a conference in a hotel that had a carvery for lunch so I treated myself to roast beef with gravy, cabbage and a medley of vegetables, it was delicious! However after the conference I decided to pop in and visit my aunt who lives near enough to the hotel where the conference was on. I of course ended up staying for dinner and thoroughly enjoyed a carb hearty feast of Chicken, leak and mushroom pie with pastry and roast potatoes galore! I wolfed it down to say the least. Consequently I awoke this morning intent on getting back to my normal routine starting with this yummy smoothie! This is one of the easiest smoothies to make in the world. It only contains 3 ingredients: Natural yogurt, frozen berries and coconut water. That’s it! Simple right. I literally throw all of the ingredients into the blender and turn it on and a few seconds later I’m pouring myself a delicious, thick and tart smoothie. The sugar substitute I use in this smoothie, is the coconut water. Now yes guys the first few sips you have will be much more bitter than say if you were using honey to sweeten your smoothies, but you need to give your taste buds time to adjust. Once you give up sugar you begin to start noticing the natural sweetness in food, honestly it’s amazing! The coconut water is so natural and it gives the smoothie a wonderful flavour. What is even better is the fact that all my ingredients are sourced from the cheap and cheerful supermarket Aldi. The frozen berries cost €1.89, the yogurt costs €0.55 and the coconut water costs €2.99 for a litre. The coconut water goes a long way so it is worth the cost in my opinion. So there you have it, a quick, super easy, super cheap and nutritious snack that can be made in seconds with the simplest ingredients. Below I will leave the measurements I use of all the ingredients to create one glass of smoothie. As always if you have any queries or comments to make please leave them below or contact me on my social media pages. 4) Then you blitz the mixture for a few seconds and voila you will have a yummy berry low sugar/carb smoothie! To low carb? or not to low carb? Despite all this I’ve found that I don’t miss the hearty carbs. I feel much more comfortable in my body. I used to go to bed every night with cramps from eating so many carbs, it used to keep me up at night but now I feels less bloated and within a week I started noticed a more toned aspect to my body. I’ve also increased the amount of proteins I eat a day so this probably helps. So basically my day in a nutshell includes the following: I aim to eat regularly throughout the day, but small portions e.g. carrots and hummus for snacks, high protein soups for lunch with no bread just packed with lots of good vegetables, boiled eggs for snacks, I also nibble a lot on salami and ham and all this before a dinner that is packed full of vegetables such as green beans, grilled aubergines, broccoli, brussel sprouts, mangetout etc. as well as a grilled chicken breast or stewed mince or steak, or a dish of chili con carne with double the amount of kidney beans and just a small portion of brown rice. It’s delicious. Now I know some of you might be going yeah, yeah whatever lady! But this diet just suits my lifestyle so I would always recommend researching a lot and getting to know your body first before setting out on a new diet regime. I also like to add that at the weekend it is party time in regard to food, I eat what I want, when I want and there maybe bottles of wine involved 😉 I am only strict on what I eat during the week and this coupled with 5 days of dance workouts and ab workouts 3 days a week, mean that I take my weekends off to go eat wherever and whatever I want. Only this past weekend I went out for lunch and just had chocolate fondant and a glass of wine! Plus on Sunday I treated myself to an ice cream with the flake and all because the weather was so nice. When I do go out with friends for dinner at weekends I order burgers, pasta and rice dishes without even thinking about it. My weekends are fun! The point I’m trying to get at, is that I don’t want to spread a message that dieting low carb is the way to go, I’m trying to show that everything can work in moderation. This eating plan just happens to work for me. I’ve also started thinking that I might start including some of the recipes I use, on this blog to show you all what kind of yummy low carb dinners/snacks etc. that I make and are so easy to do. Finally I’d like to point out that I do my weekly shopping in Aldi, which means I’m not one to be found at the expensive health food aisles of supermarkets or in health food shops searching for the latest dieting food. That is all just so impractical to me. Instead I just shop at my regular supermarket and just use whatever is available to me there. I hope this blog post spreads a good message, this is just my personal journey with low carb foods, it might not suit everyone but it suits me at the moment. In a year I might be on to something else! As always if anyone has any queries or comments, please comment below or contact me on my social media pages. I would love to share my review of one of the loveliest books I’ve ever read. 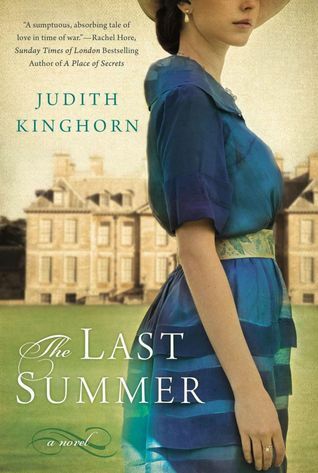 ‘The Last Summer’ by Judith Kinghorn, an epic love story, set against the background of the outbreak of World War One. Others have likened this novel to ‘Downton Abbey’, and I understand the comparison. However I do feel this novel portrays more than just the romance of the era, it also gives an in depth view of it’s rather less romantic issues such as the evils of war, the harshness of class divisions and utter tragedy of roads not travelled for if they had been happiness would have been achieved. Nonetheless, fans of the award winning show will adore this novel, and it echoes the works of such renowned authors such as Jane Austen. The novel begins, following the story of the sixteen going on seventeen year-old Clarissa Granville, who’s naive and eager personality immediately draws the reader in. Clarissa is the daughter of some-what wealthy parents who purchase ‘Deyning Park’ from an impoverished earl. Clarissa lives, in a life of innocent bliss, with her parents and three brothers. As with any girl of that age in this era, the only thing of import weighing on their minds, is making one’s début into society and ensnaring a wealthy, well connected husband. However Clarissa’s sheltered existence is brought swiftly down to earth with the arrival of Deyning Park’s housekeeper’s son, Tom Cuthbert. Although attending university and patroned by a mysterious benefactor, and being a ‘guest’ of Clarissa’s brothers, the class distinction between Tom and the Granville’s is ever present. Tom is the quiet, gentle, dashing and brooding type of character that every reader loves, and it isn’t much of surprise to discover Clarissa’s feelings for him begin to deepen. He awakens part of her soul she never knew existed, and he is equally enthralled by her charming, innocent personality. She begins to realise the selfishness of her class and Tom is testament to her becoming an altogether better person, who the reader can truly relate to. There are a lot of heart achingly sweet moments, where Tom and Clarissa engage in secret rendezvous’, and again I will say these moments are reminiscent of Jane Austen. However with happiness also comes despair in such novels such as these, and it isn’t long before Clarissa’s world begins to shatter around her. For the ‘Great War’ breaks out, stealing Clarissa’s brothers and Tom away. Tensions and miscommunication force Tom and Clarissa apart even further. Other forces such as Clarissa’s parents, also try to keep the two apart, fearing the social repercussions that may occur if Clarissa is left to follow her heart. As a result different emotions begin to emerge from this once beautiful romance. Jealousy, anguish and disappointment are emotions that are to the fore of this novel and the reader will find themselves so utterly frustrated that the two characters do not realise that they love each other and are too distracted by others to realise it. Sigh. Nonetheless, Tom and Clarissa are bedazzled by each other, and are magnetised by an invisible force, that even when they have other commitments… (trying not to spoil the plot here), they cannot help giving in to their feelings for one another. One could argue that this is quite an unhealthy obsession, Tom is the Heathcliff to Clarissa’s Cathy, and how their love for another is almost damaging and tragic. Events occur which further causes Tom to distance himself. When he finally returns, it appears that he has become a different man, with a huge fortune in tow and finally garners the attention he so deserves. The events in this novel take place over a sixteen year period, so prepare yourselves for a long, but excellent love story. In terms of other characters, Other readers who have read this novel, have expressed to me that they view Clarissa as quite the feminist, but I do not really think this is the case, or if it is, its more of a subdued part of her character. I think having come from the background she has, the social constraints were quite difficult and when finally giving the freedom to do what she wants, she literally throws herself into a lifestyle that does have a touch of scandal attached to it. Does that make her a feminist??? Not really sure myself, perhaps I shall leave that up to you avid readers to decided. On the topic of Tom Cuthbert, he is everything you could possibly want in a male lead. Courageous, gentle, dedicated, and terribly handsome are just some adjectives I would use to describe him. Yet I must admit that due to certain actions he takes in the second half of the novel, I was utterly baffled and disappointed in his ability to handle certain issues (really trying hard not to spoil for you lovely readers!). Also his treatment of other characters was a bit shocking at times. Despite this, the reader must remember that all that Tom Cuthbert does, is with Clarissa in mind, so try to ponder on that when you feel the need to throttle him, imaginatively of course. I loved the upstairs, downstairs aspects of the novel also, the staff of ‘Deyning Park’ all provide wonderfully to this lovely novel. Overall, I love this novel most dearly and I beseech you all to pick up a copy. 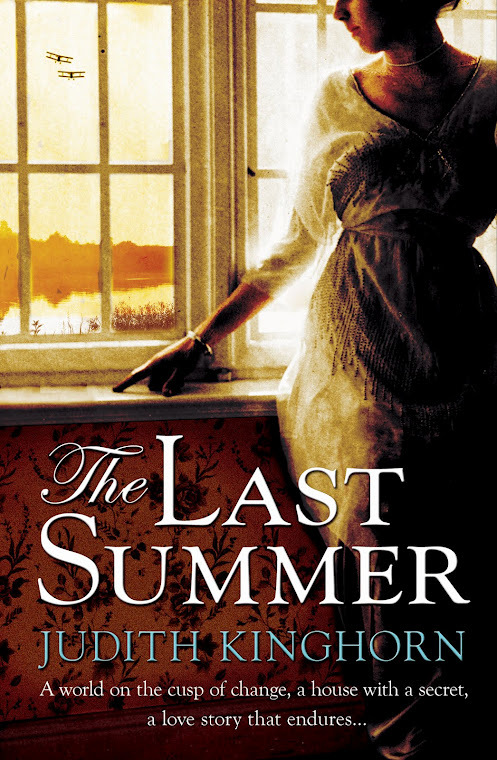 If you are an avid reader of historical fiction pertaining to the first world war, and also love a good forbidden romance story, then this is the book for you my dear friends. Judith Kinghorn is an amazing author, who would even make reciting the phone book sound amazing! Her magical descriptions of events, emotions and characters are simply divine. I understand some might not like this kind of novel, each to their own, but I genuinely loved it and would recommend it most sincerely. As always please feel free to give your opinion, I love to get feedback. Literally just back from trying out this trendy neighbourhood restaurant that has recently just opened up in Kilmainham. It is located near to the tourist attractions of the Irish Museum of Modern Art and also the Kilmainham Gaol (Jail). As it is really the only fine dining eatery around this area, it has become a huge success. Today I decided to skip the busy lunch hour and dinner hour on a Saturday and instead went in at 3.30 between sittings. On entering the establishment you are at once greeted by a friendly waitress who shows you to a table. Granted the tables at the walls are quite close together so you undoubtedly feel like you are eavesdropping into other people’s conversations, however this is possibly due to the fact the restaurant space isn’t that large, so they make the most of every possible nook and cranny. Once you get over this fact it is quite enjoyable. The honest truth, I really just came here for the chocolate fondant! I have heard manys a rumour about this particular restaurant’s chocolate fondant, I just had to try it out. And so I persuaded by boyfriend to come along for his lunch (my dessert in the middle of the day). I also had a glass of the house white wine which was pleasant and light. The boyfriend got the soup of the day which was a tomato soup and it came with beautiful homemade brown bread and real Irish butter. It was yummy if not a tad expensive (€6 for a bowl of soup always feels ludicrous, but it was good soup). Who are we kidding here, I know all of you probably only want to know about the chocolate fondant so here goes…..It was epic!! Firstly I must do a special shout out to our lovely waitress who sadly informed us at first that the fondant was not on the lunch menu but once she say how disappointed I was, she immediately went and asked the chef if it was at all possible to prepare one for me just this once. It’s not often you come across such helpful and willing staff so I must give them a special thanks! Overall the soup, the dessert and the glass of wine cost €18. Warning alert, prepare to spend a lot of money here, the average item on the lunch menu costs €10. The dinner menu also could be a bit cheaper. The early bird costs €23.50 for two courses everyday from 5-7pm Sunday-Thursday and 5-6:30pm on Fridays and Saturdays. If dining off the a la carte menu, the cheapest starter is €7 and that’s for the soup! Main courses will set you back €16.50-27.50. Desserts are €6.50/€7. A bottle of house wine will also cost you €24 red or white. So is it worth this cost? well they have no other competition in the area and the food is quite good and did I mention everything on their menu is gluten free!!! (as it says on their menu). The food is really good from what we experimented with anyways and Kilmainham has been crying out for a fine dining restaurant for quite awhile so its not a surprise to see it abuzz with activity. What I’ve learned about eating out in Dublin, people are willing to pay good money for great food and I think this is the perspective you need to have in your head before you walk into this quaint restaurant. My score? 10/10 for the fondant! That’s for sure. The service is great and I love their jugs of tablewater with shreds of cucumber and springs of mint. If you are in the area definitely try this place out, I was quite impressed! As always if you have any queries leave a comment or contact me on my social media pages. Yesterday I decided to pop home to my hometown of Ballinasloe, which is located about a forty five minute drive away from Galway City. Ballinasloe town is probably most famous for it’s October horse fair held annually in the town and rumoured to have been the fair in which Napoleon himself bought his horse. Our only claim to fame I would assume. Anyways one of the biggest issues with Ballinasloe town is the lack of dining options. There are plenty of bars (maybe too many) and not one but four Supermacs chain fast food restaurants, as it is also the hometown the the fast food chain. However despite all this my family and I continually find ourselves travelling to the nearby town of Athlone to go out for dinner. It is a shame but that is the reality. The only closest thing to a dining out at night option we have, is the bar/restaurant of the Shearwater hotel or pub grub. However yesterday I discovered a little gem hidden just outside the town of Ballinasloe with easy access off the motorway. This gem is called the Moycarn Lodge. In the past I have frequented this establishment only when there was a big event on, such as 21sts, communions, retirement parties etc. However I failed to realise that they actually are a pretty impressive restaurant also. In fact one would assume as it hosts guest accommodation that it would just be a bar with simple bar food. However I am glad to say this is not the case and in fact at nighttime they have a separate room for their dinner time. We arrived for an early dinner at 5pm and to be honest on catching sight of the bar I guiltily assumed not to expect much. Once handed the menus however this opinon quickly changed. The menu had a great variety of meals. From starters such as deep fried brie to main courses such as beef stif fry. There is literally something for everyone on this menu. I also couldn’t get over the reasonable prices of the courses. A side dish is only 2.95! My mother and I decided to share a starter and settled on the deep frie. It came out in four segments served on a bed of lovely house saled and some kind of raspberry relish which complimented the bitterness of the brie brilliantly. Unfortunately we ate the starter so quickly because it looked so good that I forgot to take a picture! Take my word for it, it was yummy. For the mains I chose an old reliable: Chicken goujons with a side salad and homemade wedges. Now I did have to pay extra for the wedges as the dish actually came with normal fries but I prefer wedges so I was a bit disappointed to pay extra but they were still quite tasty, in my opinion they were more like oven cooked chips not wedges at all but they were delicious. They are usually served with sweet chili sauce but I prefer garlic mayonnaise which was fantastic. My mother ordered the house chicken curry which to be honest just tasted like the tin of McDonald’s curry sauce so it wasn’t homemade but it still was tasty. Her only complaint was that it had coriander through it, which in my family is a big no-no because it’s quite fragrant and tastes like perfume and it’s an odd complaint I know, but we all can’t stand it! So after doing an autopsy on her dinner for a good 10 minutes picking out the coriander, she was finally able to enjoy the meal. It was served really nicely as you see below, with plenty of vegetables which we both love. With a glass of wine and a glass of cider the total of the mean came to €34 which was decent enough. The staff were friendly and very laid back so the experience was very relaxing. We stayed for another half an hour even after finishing our meals and could go up to the bar to pay the bill. Overall Moycarn Lodge is definitely a place I’ll go back to for food. You would get more of the fine dining experience after 6pm I would say but for what we got I was very pleased. The only drawback was the inability to swap fried for wedges for free but despite this I still enjoyed my meal. I would definitely recommend it to those interested in a laid back venue with beautiful scenery and a friendly family atmosphere. As always if you have any queries or opinions, please feel free to comment or contact me on my social media accounts: Instagram, Facebook and Twitter.